There is a different side to Tenerife waiting to be discovered. Above the clouds, in the waves, on the summit peak of volcanoes, visitors to the largest island in the Canaries will find pockets of treasure and a whole new perspective on a destination that is commonly disregarded due to its package holiday resorts and Brits on tours reputation. Dig a little deeper, and Tenerife actually plays a host to a whole community of active locals and travellers, who revel in the adventurer's playground which has been forged in the diverse yet compact landscape of cliffs, oceans, and forest. And the best bit? Most of the other visitors on your plane out here won't even know about them. Whilst the majority come here to lie on the beach, read a book and relax (nothing wrong with that at all by the way) in small touristic hubs and clusters, they're leaving a whole island out there just waiting for you to explore it. Here are six great Tenerife activities to push your boundaries and show a different side to the island. The fact that several Tour de France cyclists (including Team Sky) set up training camp on the island should be enough to tell you about the quality of cycling on offer here. The roads all over are of exceptional quality for those on two wheels, with smooth as butter tarmac leading to challenging ascents, curving descents and undisturbed sprints, all with a jaw-dropping backdrop. For the casual or part-time cyclist, a day out on the bicycles in Tenerife will be challenging yet rewarding. We hadn't been on a serious road cycle in a while, but the afternoon spent taking on climbs with blue skies above, a cloud forest below and the sun on our back was utterly joyful - this may well have been our favourite Tenerife activity! 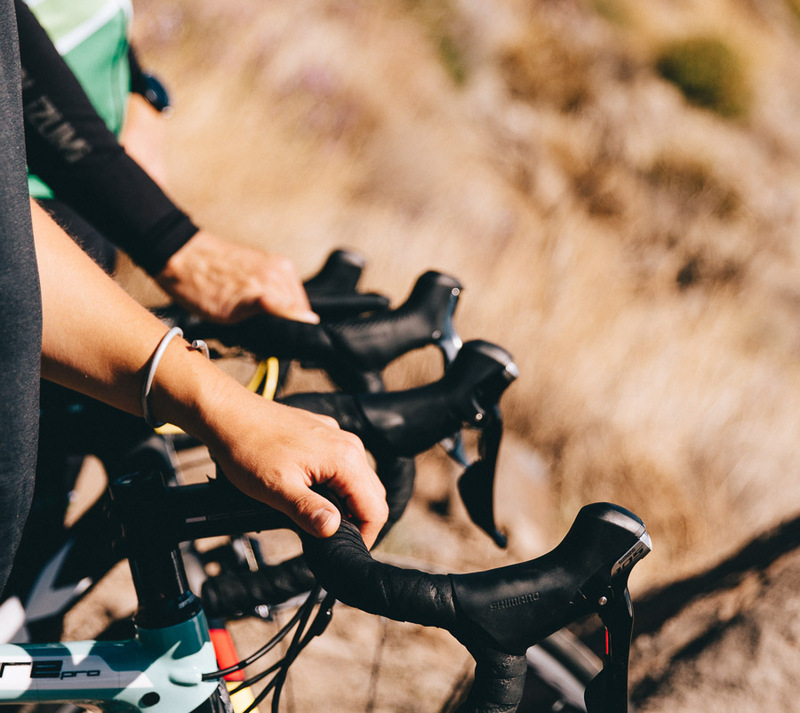 Further information | High-quality carbon frame road bikes can be rented from Bike Experience Tenerife, who also provide guided bicycle excursions. 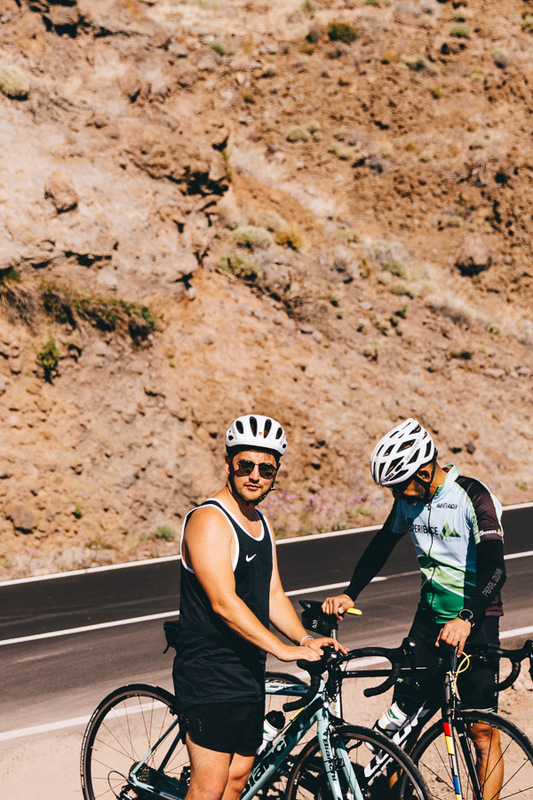 There are a number of defined cycle routes across Tenerife (if you're renting a car whilst you're here, this will explain why you see a cyclist every 10 minutes! ), ranging from beginner routes such as Route 6 and the Santa Cruz circular to more intense, challenging ones. You can find more information on all of them here. Travel is all about conquering your fears right? Well, one of us did exactly that during our short visit to get some exercise and push our boundaries in Tenerife. Jumping off the edge of a very high hill, with all your faith placed in a man you've just met half an hour before, is something that we weren't exactly excited about, but more terrified and thrilled at the same time. But it turns out that we really didn't have much to be worried about at all. 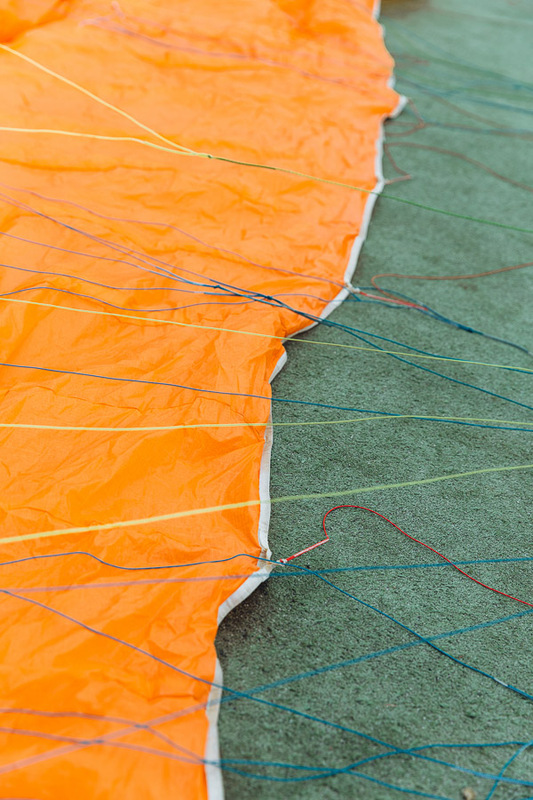 In fact, paragliding in Tenerife was so bizarrely smooth that you almost forget that you're up in the bloody SKY! Aside from the thrill of paragliding in and of itself, the 30-minute flight gave us unique views of the coast, landscapes and towns of Tenerife (turns out that there are loads of stepped fields like Asia here), and is something we'll never forget. 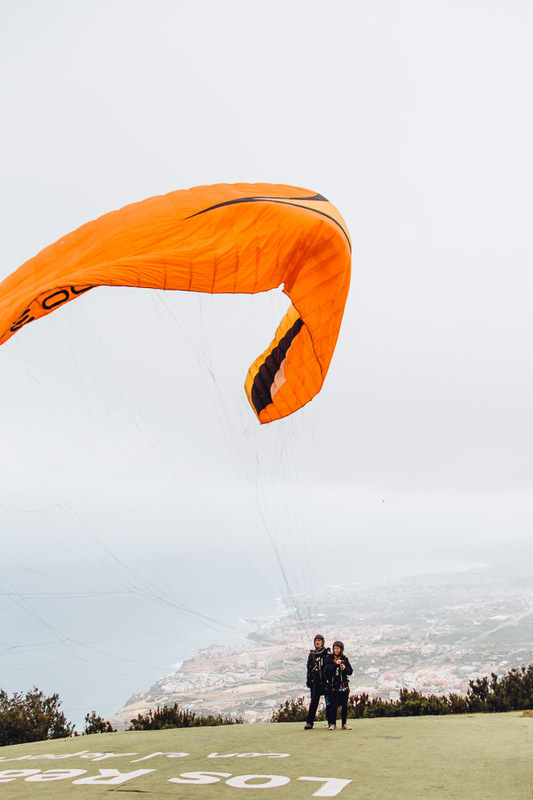 Further Information | The father and son team at IbraFly are the go-to people for paragliding tandem flights in Tenerife, and we felt confident flying with them. Before visiting Tenerife, we had no idea about its micro-climate and intense terrains. This resulted in surprised looks on our first full day as we went from 0m to over 2,000m above sea level in about ten minutes. Not only that, but leaving from our hotel by the ocean, we passed through a forest of dense dark clouds, before remerging above them to a mass of towering volcanoes, Mars-esque formations and bright blue skies. With the clouds now underneath and the ocean nowhere to be seen. That fascination with the range of terrains and landscapes in Tenerife, and their never-ending dance with its micro-climate, had us captivated. It also explains why it has become an incredibly sought after hiking destination for Europeans (it even hosts an annual walking festival). Teide, the towering conical volcano is an irrepressible sight in Tenerife, and it forms one of the most popular and accessible hiking excursions for visitors. There are however dozens of routes criss-crossing the island, including several national parks, bringing you across divergent scenes and trails. Further Information | El Cardon and XWander are two companies which provided guides hikes and walks on the island, whilst there are a multitude which can be done independently. The popular tourist harbour of Puerto de Los Gigantes is full of companies offering boat excursions, including whale-watching and fishing experiences. However, to discover one of the little gems of Tenerife your require a slightly smaller vessel - your own sea kayak! In the secret bay at the foot of the ancient Los Gigatnes cliffs, we joined Teno Activo for a couple of hours of swimming and snorkelling in beautiful blue azure waters. 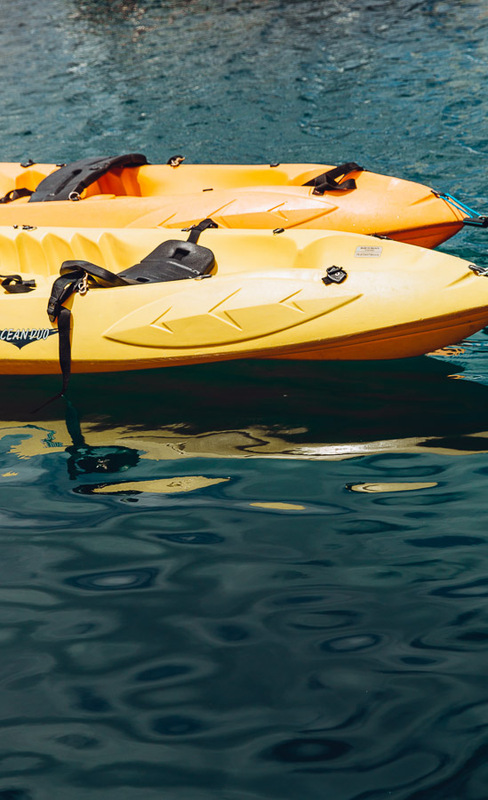 It's great fun and suitable for families and beginners looking for the chance to try out sea kayaking and snorkelling for the first time, and those who have done it a bunch of times already will also enjoy it. Tip | Once you're done with the kayak, we recommend heading for lunch in the square in Alcalá or going directly to the beach at La Arena - it's quite a busy black sand one, but nice to chill out at with a great bit of sea to swim in. Both spots are within 5-10 minutes drive from Puerto de Los Gigantes. Of course, flying out to a Spanish island means that you should let your self spend a day or two hanging out at the beach. Tenerife is famed for its black sand beaches (due to the volcanic structure of the island), but visitors looking for something more picture postcard should make a beeline to Playa de las Teresitas, about five minutes drive outside the capital Santa Cruz. When we heard this was a beach with sand imported from the Sahara across the sea, our expectations were set quite low. How wrong we were - it's probably one of the best in Tenerife. With the colourful houses of San Andrés snaking up the hill, calm water, perfect palm trees and a typically Tenerife sheer cliff backdrop, Las Teresitas beach is a great spot to spend a sunny afternoon (preferably letting those muscles soothe after a few days of hiking and cycling). If you're the type who gets restless after a few hours sunbathing, then check out the little blue hut at the far end of the beach (which we also think is the nicest section for sunbathing and gives you the prettiest views) where you can rent SUP boards and other beach sports equipment from the charismatic team at Anaga Experience. We had never actually tried SUP before this trip (crazy I know), but after Cao from Anaga gave us pointers out on the water, we took to it like ducks to water - we didn't fall in once! Tip | There is a large car park at the beach, and food options are best found in lots of trucks / vans just by the entrance. Choice is pretty limited however and you'll require cash. Unfortunately, we decided to surf at the time of day where Tenerife's micro-climate decided to show its cloudy side and the wind picked up, which meant that the setting looked a little more like surfing in Skegness than Spain (or the Hawaii of Europe as this place is sometimes called). Nevertheless, we persevered with a surf lesson at Playa Martiánez beach, based in the town of Puerto de la Cruz. This is a popular spot for beginner surfers and those who have a bit of experience, and so is an excellent place to go to if you've always wanted to learn. With our wetsuits on and a quick classroom session on the basics and safety, we hit the water with Ivan from La Marea Surf School. Forty-five minutes later, we had a caught a couple of waves each (and missed more than a few) but came out invigorated and energised. Further Information | Due to its great year-round climate (average temperatures between 22-28°C) and decent waves, Tenerife has a burgeoning surf culture. 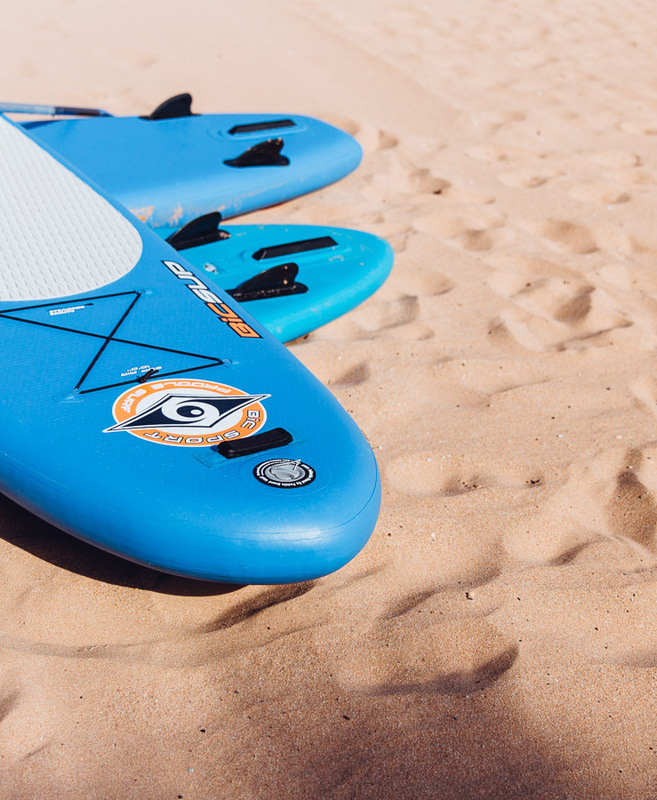 A 2-hour lesson costs 35 EUR per person, whilst you can rent boards with prices starting from 15 EUR. You can find more information about the best surf spots in Tenerife for beginners and pros here. If you're looking to get active and experience the outdoors in Tenerife, then we highly recommend checking out this comprehensive overview guide of the various cycle routes, watersports options, hiking trails and many other options on the island for further advice and inspiration. The Basque Country | More than just the Bilbao effect? 8 Reasons You Should Book That Flight to Santiago de Compostela!